17/11/16 -- Soycomplex: Beans closed higher. Weekly export sales came in at the top end of trade expectations. At 1,418,700 MT for 2016/17 these were up 51 percent from the previous week, although still down 23 percent from the prior 4-week stellar average. Total YTD commitments are now running 7.6 MMT ahead of a year ago versus the 3.1 MMT projected seasonal increase from the USDA. Exports this week of 3,034,100 MT were a very impressive (the second highest ever I read) and of course a marketing-year high with China taking 2,363,500 MT of the total. Informa estimated 2017 US soybean plantings at 88.61 million acres versus 88.49 million previously. Weather conditions appear to be improving in Argentina and Brazil. 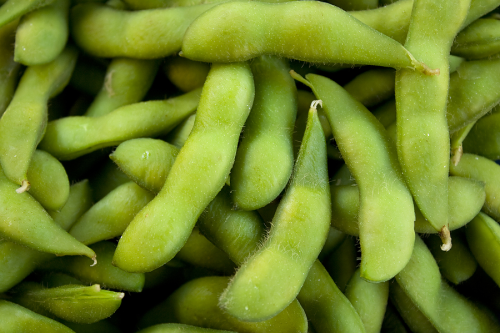 Jan 17 Soybeans settled at $9.89 1/2, up 3 3/4 cents; Mar 17 Soybeans settled at $9.98 1/2, up 4 cents; Dec 16 Soybean Meal settled at $311.50, up $3.10; Dec 16 Soybean Oil settled at 33.70, down 40 points. Corn: Corn closed around 3 cents or so higher. Weekly export sales of 1,661,000 MT for 2016/17 were up 35 percent from the previous week and 47 percent from the prior 4-week average. Trade estimates had been for sales of only between 900,000 MT and 1.2 MMT. Exports of 540,800 MT were however down 39 percent from the previous week and 31 percent from the prior 4-week average. Commitments to date are running 13.1 MMT ahead of last year compared to the 8.32 MMT y-o-y increase projected by the USDA. The USDA also announced an additional flash sale of 106,200 MT of corn to unknown destinations under the daily reporting system. Informa estimated 2017 US corn plantings at 90.84 million acres from 90.97 million previously. That is is 3.66 million acres lower than the USDA’s current estimate for 2016. In Russia 2016 corn harvesting is said to be 71.6% complete at 11.9 MMT. EU season to date corn imports are running at 3.1 MMT versus 3.6 MMT this time a year ago. Dec 16 Corn settled at $3.42, up 3 1/2 cents; Mar 17 Corn settled at $3.49 3/4, up 3 1/4 cents. Wheat: Wheat closed with fair gains across the three exchanges. Weekly export sales of 598,400 MT for delivery in marketing year 2016/17 were down 22 percent from the previous week, but up 11 percent from the prior 4-week average. That was at the top end of trade forecasts of 400,000 to 600,000 MT. Exports of 402,000 MT were up 6 percent from the previous week and 12 percent from the prior 4-week average. The primary destinations were Morocco (114,800 MT), Brazil (62,000 MT), South Korea (48,600 MT), Mexico (45,300 MT) and Algeria (31,500 MT). Commitments to date are running 3.94 MMT over a year ago vs the USDA’s projected 5.44 MMT y-o-y increase. Informa lowered their US winter wheat acreage outlook to 33.76 million acres from 35.42 million previously. All wheat plantings will decline approximately 3 million acres they think. Algeria were said to have booked 580,000 MT of optional origin wheat for January delivery, some of which may be US origin and show up in next week's export sales report. Russia said that they'd harvested 75.8 MMT of wheat off 98.1% of the planted area. Dec 16 CBOT Wheat settled at $4.03, up 6 cents; Dec 16 KCBT Wheat settled at $4.08 3/4, up 5 1/4 cents; Dec 16 MGEX Wheat settled at $5.26 3/4, up 8 1/4 cents. 17/11/16 -- EU grains closed mostly a smidgen higher on the day, amid a general lack of fresh news. A weak euro helped Paris grains a little today. The day ended with Nov 16 London wheat unchanged at GBP139.05/tonne, Dec 16 Paris wheat was EUR0.75/tonne higher at EUR164.75/tonne, Jan 17 Paris corn rose half a euro to EUR164.50/tonne and Feb 17 Paris rapeseed was up EUR0.25/tonne to EUR392.50/tonne. The pound closed at close to 1.17 versus the euro - it's best level in two months - capping any potential for rises in London wheat. Algeria's reported 400 TMT purchase of wheat yesterday was re-reported as 580 TMT today. The exact origins bought are unknown, but traders say German and Baltic wheat almost certainly figured, and possibly even French material despite their woes. US wheat keeps getting a mention, but we will maybe have to wait until next week's USDA weekly export sales report for confirmation of that one. 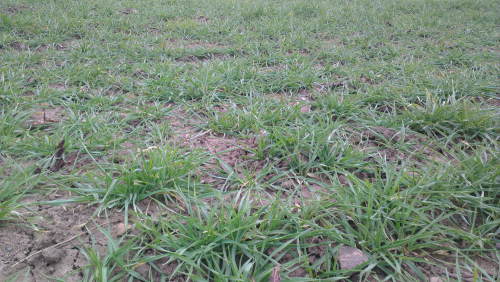 Another origin that may have featured is Argentine wheat, although some say that this will struggle to meet Algeria's strict import quality criteria. 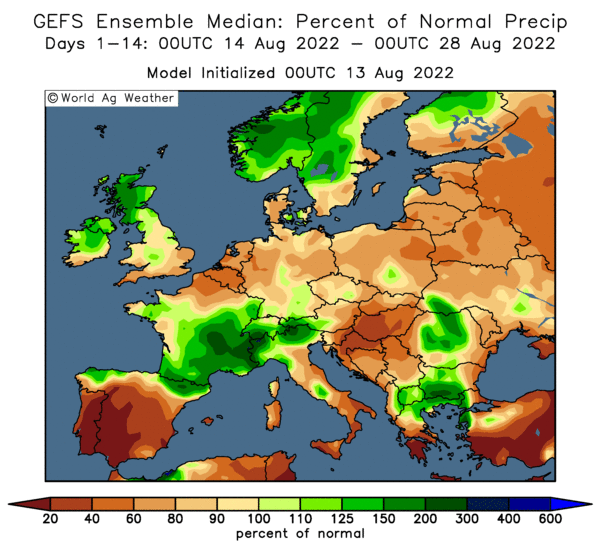 French analysts Strategie Grains forecast virtually no change to the area EU-28 farmers will sow with soft wheat, barley and corn for the 2017 harvest. They place soft wheat plantings at 24.3 million ha (24.2 million a year ago), barley area at 12.4 million ha and the area given over to corn at 8.8 million ha. They placed EU-28 soft wheat production for 2016 at 135.7 MMT, down 0.2 MMT from previously. Barley output is seen at 59.7 MMT (unchanged) and corn production was lowered 0.2 MMT to 59.6 MMT. Brussels have changed the way they report EU grain exports, now reporting on shipment volumes themselves rather than the amount of export licences issued. This week's soft wheat total was 346 TMT, up 19% on a week ago, taking the total volume so far this season to 8.96 MMT (8.17 MMT a year ago). France's share was 16.5% of the weekly total. Barley exports came in at 113 TMT, up 43% from a dismal effort last week. France picked up just 1.5% of that. That takes the cumulative barley export total for the season to 1.635 MMT. Season to date corn imports are running at 3.1 MMT versus 3.6 MMT this time a year ago. Russia announced that their 2016 grain harvest is 95.9% complete at 122.3 MMT. That includes 75.8 MMT of wheat (98.1% done) and 19.1 MMT of barley (97.2% done). Corn harvesting is 71.6% complete at 11.9 MMT. Winter grain planting for 2017 is now said to be 99.3% done on 17.2 million ha (versus 16.3 million a year year ago at this time). Ukraine said that in the first four months of the 2016/17 marketing year (Jul/Oct) they had exported 14.76 MMT of grains, including 8.96 MMT of wheat, 3.73 MMT of barley and 2.0 MMT of corn. Export potential for the remainder of the season is 26.3 MMT, giving total 2016/17 exports of around 41 MMT, according to the Ministry of Economic Development. 16/11/16 -- Soycomplex: Soybeans closed a little lower on reports that Brazilian cash markets are pricing themselves a bit more aggressively relative to the US. That didn't stop the USDA announcing another flash sale of 165,000 MT of US soybeans for delivery to China during the 2016/17 marketing year though. The trade will be expecting another strong figure in tomorrow's weekly export sales report to back up all this recent business - with figures of 1.2 and 1.5 MMT being mentioned - I wouldn't be surprised if the actual number isn't larger. Reports of decent growing conditions for much of South America is a negative, although some suggest that earlier rains in Argentina may have washed out some 600k ha of early planted beans. Jan 17 Soybeans settled at $9.85 3/4, down 3 3/4 cents; Mar 17 Soybeans settled at $9.94 1/2, down 3 1/2 cents; Dec 16 Soybean Meal settled at $308.40, down $1.70; Dec 16 Soybean Oil settled at 34.10, down 11 points. Corn: The corn market closed around 2-3 cents lower. The US Energy Dept reported weekly US ethanol production to be up 15,000 barrels/day last week, taking the weekly total to just over 1 million/day again. Ethanol stocks were down 620,000 barrels. The US dollar index shrugs off the initial bearish reaction to last week's Trump election victory and trades at a 14 year high. The strong US dollar and weak Brazilian real were bearish - the real is down 9% in a week versus the USD. The Malaysian ringgit also continues to fall against the USD. Taiwan were reported to have purchased 65,000 MT of US corn for Feb/Mar shipment. 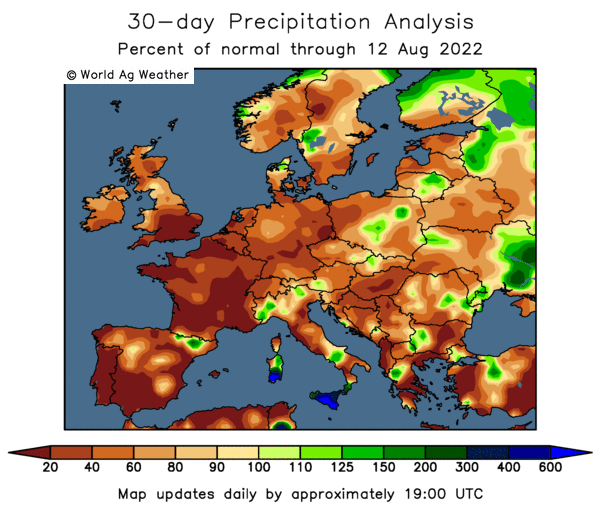 Agritel forecast the French corn crop "not to exceed 11.5 MMT". Russia reported their 2016 corn harvest had now reached 70.9% complete for a crop of 11.7 MMT to date. Average yields are 5.71 MT/ha versus only 5.15 MT/ha a year ago. Trade expectations for tomorrow's USDA weekly export sales report are between 900,000 MT and 1.2 MMT. Dec 16 Corn settled at $3.38 1/2, down 3 cents; Mar 17 Corn settled at $3.46 1/2, down 2 3/4 cents. Wheat: The wheat market closed mixed, with Chicago and Kansas lower and Minneapolis higher. Algeria were reported to have bought 400,000 MT of wheat for January delivery, with some suggesting that US origin may have figured in the mix. Japan are in the market for their regular weekly tender of 136,726 MT of US, Canadian and Australian wheat. Russia reported the last of their wheat harvest to be dragging it's heels. Harvesting there is 98.1% complete at 75.8 MMT. Barley harvesting is 97.2% done at 19.1 MMT. Russian winter grains are said to be sown on 17.2 million ha, or 99.3% of the government target. Ukraine said that their 2017 winter wheat crop is now 95% planted on 5.88 million ha. Kazakhstan reported a final 2016 bunker weight grain harvest of 23.7 MMT, or 21.4 MMT in clean weight. The USDA's FAS in Nigeria forecast the country's wheat import needs this season at 4.5 MMT. Trade forecasts for tomorrow's weekly export sales report from the USDA are at 400,000 to 600,000 MT. Last week's sales were impressive for once at 769,600 MT. Dec 16 CBOT Wheat settled at $3.97, down 2 cents; Dec 16 KCBT Wheat settled at $4.03 1/2, down 4 1/2 cents; Dec 16 MGEX Wheat settled at $5.18 1/2, up 3 3/4 cents. 16/11/16 -- EU grains closed mixed but mostly higher on the day. London wheat was lower on ideas that maybe yesterday's gains were a bit overdone. At the finish Nov 16 London wheat was down GBP0.90/tonne at GBP139.05/tonne, Dec 16 Paris wheat was up EUR1.00/tonne at EUR164.00/tonne, Jan 17 Paris corn ended EUR0.50/tonne firmer also at EUR164.00/tonne and Feb 17 Paris rapeseed closed EUR0.25/tonne lower at EUR392.25/tonne. The latest UK customs figures show wheat exports for the first three month of the marketing year (Jul/Sep) came in at 711.7 TMT - more than double the same period in 2015/16. Fellow (for now) EU countries took 580.9 TMT of that total, up 181% versus last season. The largest home was the Netherlands (184.1 TMT), followed by Spain (144.4 TMT) and then France (85.2 TMT). Also featuring high on the list were unusual destinations such as Vietnam (66 TMT) and Algeria (60 TMT). The weak pound and failure of this year's French wheat crop are clearly providing the UK with a window of export opportunity. UK wheat imports Jul/Sep were down slightly on year ago levels at 426.1 TMT, with Canada (92.7 TMT) the largest provider. UK corn imports fell 11% Jul/Sep to 390.9 TMT. France was the biggest supplier, although imports from this direction were down 13% at 159.7 TMT. Can/will this trend continue? UK feed wheat prices (delivered, East Anglia) have risen to their narrowest discount to imported corn (any origin, CIF optional ports) for nearly a year, the HGCA point out. More importantly maybe for UK wheat prices is that "currency volatility has made UK wheat trading essentially currency trading by proxy," they add. The direction of sterling versus the euro and USD for the remainder of the season therefore remains all important. In other news, Algeria were reported to have bought 400,000 MT of possibly US, German and Baltic origin wheat in a tender. Ukraine said that their 2017 winter wheat crop is now 95% planted on 5.88 million ha. Winter barley sowing is said to be 84% done on 866k ha. Russian winter grains are said to be sown on 17.2 million ha, or 99.3% of the government target. 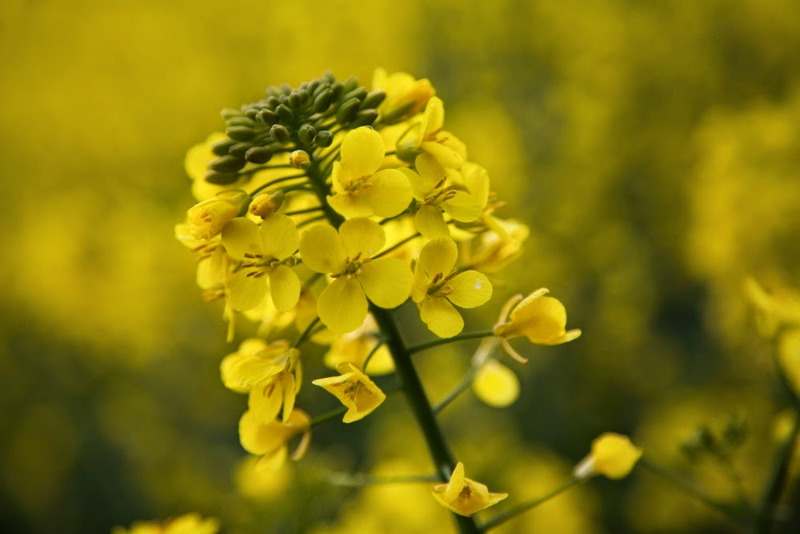 The German Oilseeds Association forecast OSR plantings there to increase 1.5% to 1.35 million ha for the 2017 harvest. 15/11/16 -- Soycomplex: Beans closed higher in "Turnaround Tuesday" style. NOPA announced the third heaviest crush on record, at 164.64 million bushels this was well above analysts expectations of 160.48 million. FCStone said that "164.6 million is approaching industry capacity and it will take another motivated producer to push the limits again in the November number." Adding to the strong demand theme, the USDA announced 121,500 MT of US soybeans for delivery to China and 126,000 MT for delivery to unknown destinations during the 2016/17 marketing year under the daily reporting system. With the US harvest now all but done, attention is turning to South America where the 2016/17 crop has largely been/is being sown in a very timely manner under good conditions for early establishment. Jan 17 Soybeans closed at $9.89 1/2, up 5 1/4 cents; Mar 17 Soybeans closed at $9.98, up 5 1/2 cents; Dec 16 Soybean Meal closed at $310.10, up $0.20; Dec 16 Soybean Oil closed at 34.21, up 26 points. 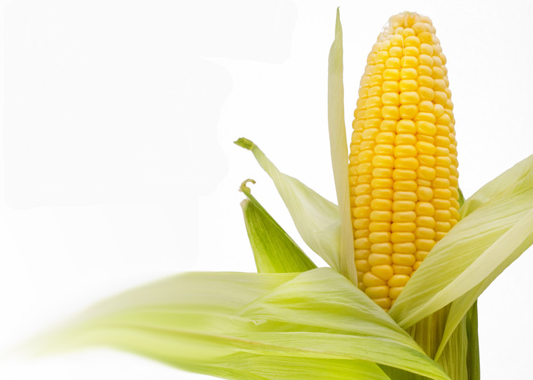 Corn: The market closed around 4 cents higher. The US corn harvest is also winding down, with no further weekly crop progress reports expected from the USDA after next Monday. This leaves the corn market looking elsewhere for impetus. As with beans, South American corn planting is going well. Unlike beans, the area sown is likely to be sharply higher for 2016/17 too, especially in Argentina. In Brazil a return to "normal" yields should also boost production considerably. Other news being discussed is a Chinese crackdown on speculative trading, and what impact that might have on the grains sector. Russia said that their 2016 corn harvest was 70.1% complete at 11.6 MMT. They are expecting a record crop this year, with exports at all-time highs too. Ukraine's corn harvest is 77% complete at 20.22 MMT. They are now gearing up their export effort to concentrate on corn. Dec 16 Corn closed at $3.41 1/2, up 4 1/4 cents; Mar 17 Corn closed at $3.49 1/4, up 4 cents. Wheat: The wheat market closed higher, helped by firmer corn and soybeans, but lacking a strong fundamental reason of it's own to rally. Yesterday's very poor weekly export inspections number of less than 200 TMT was still ringing in traders' ears. The National Australia Bank forecast the wheat crop there at 27.6 MMT, unchanged from a month ago. Better production prospects from South Australia, NSW and Victoria seem to be outweighing the frost reduced expectation of Western Australia. For the first 14 weeks of 2016/17 Canadian wheat exports (excluding durum) were down 24% at 3.76 MMT. The USDA has Canadian all wheat exports to decline only 3% year-on-year in 2016/17. The Russian Ag Ministry forecast their 2016/17 grain exports at 35-40 MMT. They said that this year's grain harvest was 95.8% done at 122 MMT. 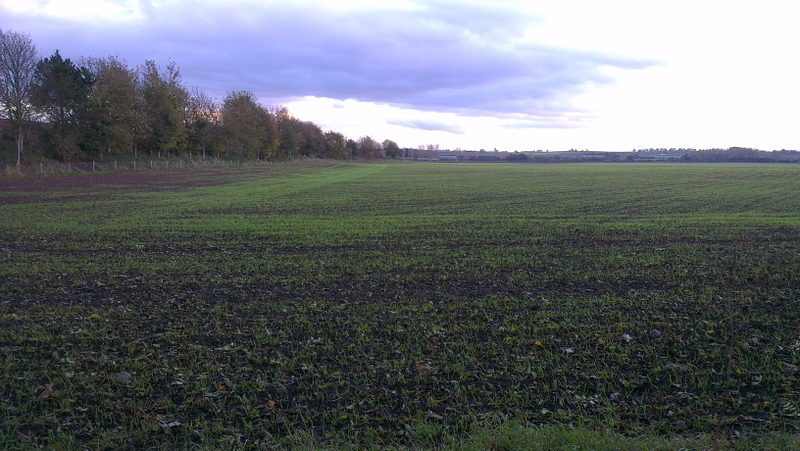 That includes 75.8 MMT of wheat off 98.1% of the planned area. Winter plantings for 2017 are almost complete on 17.2 million ha. Mar 17 CBOT Wheat closed at $4.18 3/4, up 6 1/4 cents; Mar 17 KCBT Wheat closed at $4.25 1/2, up 5 cents; Mar 17 MGEX Wheat closed at $5.18, up 2 1/4 cents. 15/11/16 -- EU grains closed almost uniformly higher, helped by a firmer tone to US markets in afternoon trade. At the close Nov 16 London wheat was up GBP3.45/tonne at GBP139.95/tonne, Dec 16 Paris wheat was EUR1.00/tonne higher at EUR163.00/tonne, Jan 17 Paris corn rose EUR0.25/tonne to EUR163.50/tonne, Feb 17 Paris rapeseed was EUR3.50/tonne firmer at EUR392.50/tonne. London wheat derived some benefit from a weaker sterling following the surprise news that UK inflation fell 0.1% to 0.9% in October. Analysts had been expecting a 0.1% movement the other way to 1.1%, increasing the likelihood of an interest rate rise. Deferred months in London didn't fare so well, with Nov 17 only up GBP0.90/tonne at the close, widening the negative differential between that and Nov 16 to GBP3.80/tonne. Meanwhile, "while both UK bread and feed wheat ex-farm averages have increased so far this season, feed wheat values have been rising faster. This has led to the gap between bread wheat and feed wheat values closing," noted the HGCA. "Lower availability of both feed wheat and imported maize from the near continent. This is forcing the feed wheat price to rise relative to other crops e.g. milling wheat, feed barley, effectively squeezing the milling premium from beneath," they said. Increased domestic demand for feed wheat from the bioethanol industry will also be coming into play here, although as recent history tells us this isn't something that can be relied upon ad infinitum. Globally there are still areas where quality wheat is in short supply though. French exports have been slashed, and for the first 14 weeks of 2016/17 Canadian wheat exports (excluding durum) were down 24% at 3.76 MMT. The USDA has Canadian all wheat exports to decline only 3% year-on-year in 2016/17. Russian exports have also been lagging year ago levels despite bumper production. 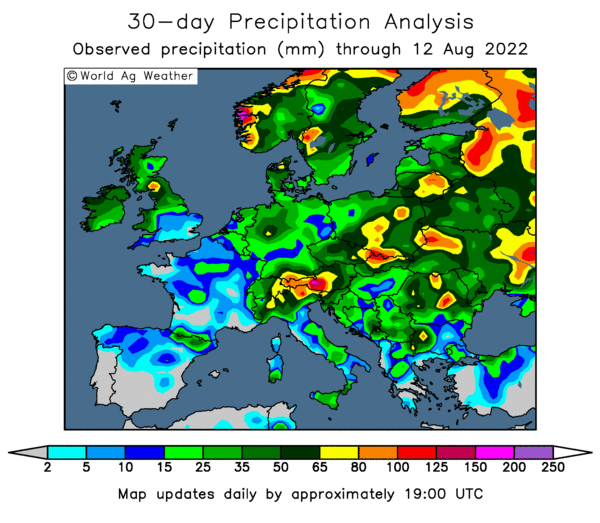 This is certainly at least partly due to a lack of high grade milling wheat in this year's crop, although other factors such as weather, a wildly fluctuating rouble and Egypt's tinkering with ergot levels have also been a factor. Russia's Ag Min said that this year's harvest is 95.8% complete at 122 MMT, including 75.8 MMT of wheat (off 98.1% of the planned area), 19.1 MMT of barley (97.2%) and 11.6 MMT of corn (70.1%). Russian winter grain plantings for the 2016 harvest are said to be all but finished on 17.2 million ha (99.2% of the government target area). Tunisia were said to have bought 100 TMT of soft wheat and 75 TMT of feed barley, both of optional origin, in a tender. 14/11/16 -- Soycomplex: Beans closed slightly lower, save for the expiring Nov 16 which was down 7 1/2 cents as it went off the board. The USDA announced the sales of 324,000 MT of US soybeans for delivery to China and 132,000 MT of US soybeans for delivery to unknown destinations during the 2016/17 marketing year under the daily reporting system. Weekly export inspections were strong again at 2.785 MMT. "This puts season to date loadings 2.76 MMT over the prior year compared to the 3.1 MMT projected by the USDA for the entire marketing year period," noted FCStone. NOPA’s October crush report will be out tomorrow. The USDA said that this year's soybean harvest was 97% complete, 2 points ahead of the 5-year average. Nov 16 Soybeans settled at $9.71, down 7 1/2 cents; Jan 17 Soybeans settled at $9.84 1/4, down 1 3/4 cents; Dec 16 Soybean Meal settled at $309.90, up $2.10; Dec 16 Soybean Oil settled at 33.95, down 49 points. Corn: Corn closed around 3-4 cents weaker. Interestingly the USDA reported the sale of 175,000 MT of grain sorghum for delivery to China during the 2016/17 marketing year. Weekly export inspections were poor at 618 TMT versus trade forecasts of around 1 MMT. "Loadings to date are running 4.9 MMT ahead of a year ago versus the 8.32 MMT yoy increase projected by the USDA," noteCStone. "Factoring a normal seasonality of corn loadings in the balance of the year this implies the US is 2.4 mmt or 95 mln bushels behind pace to meet the 2225 number from the USDA," they added. The USDA placed the 2016 US corn harvest at 95% complete, up from 86% a week ago and versus 92% done for the 5-year average. APK Inform said that Ukraine seaports only exported 463.3 TMT of grains last week. That included 287.3 TMT of corn. Russia's seaports exported 151.3 TMT of corn last week. Ukraine's corn harvest is 74% complete at 19.4 MMT. Russia's is 69.1% complete at 11.4 MMT. It is reported that South Korea bought 63 TMT of optional origin corn at a tender that closed today. Dec 16 Corn settled at $3.37 1/4, down 3 cents; Mar 17 Corn settled at $3.45 1/4, down 3 3/4 cents. Wheat: Wheat closed lower. Weekly export inspections of only 191 TMT were very poor indeed. Expectations were around the 500 TMT mark. Loadings to date are running 2.7 MMT above a year ago compared to projected annual increase of 5.44 MMT, said FCStone. Russia's exports are slowing, but the US isn't seeing any benefit of this yet. Russia's wheat exports in October were only 1.99 MMT, some 46% down on September and 26.5% lower than they were a year previously. The USDA reported winter wheat planting at 93% done, up just 2 points in a week and 2 points behind the 5-year average. Emergence was placed at 85% versus 79% a week ago and 84% on average at this time. Russia said that it's wheat harvest was 98.1% done at 75.8 MMT in bunker weight. Algeria tendered for 50,000 MT of optional origin milling wheat but are expected to buy much more. Dec 16 CBOT Wheat settled at $3.94, down 9 cents; Dec 16 KCBT Wheat settled at $4.02 3/4, down 7 1/2 cents; Dec 16 MGEX Wheat settled at $5.12, down 8 cents. 14/11/16 -- EU grains closed mixed on the day. London wheat was pressured by renewed sterling strength. The day ended with Nov 16 London wheat down GBP1.00/tonne at GBP136.50/tonne, Dec 16 Paris wheat was up EUR0.50/tonne at EUR162.00/tonne, Jan 17 Paris corn was up a euro at EUR163.25/tonne and Feb 17 Paris rapeseed fell EUR3.25/tonne to EUR389.00/tonne. The pound is higher after last week's surprise Trump victory. This has sparked market worries that French and German voters might feel empowered to spring a Brexit-esque surprise of their own come their presidential elections in the New Year. Nov 16 London wheat has risen 18.5% since the Jun 23 Brexit decision. The pound is down 11.5% versus the euro during this time, so I'd say that most of London wheat's rally can be directly attributed to losses in the domestic currency. (The value Dec 16 Paris wheat incidentally is virtually unchanged despite a crop disaster - down EUR2.00/tonne - since June 23). Where the pound goes for the rest of the year, and beyond, is therefore likely to be the major influence in the value of London wheat in the months that lie ahead. 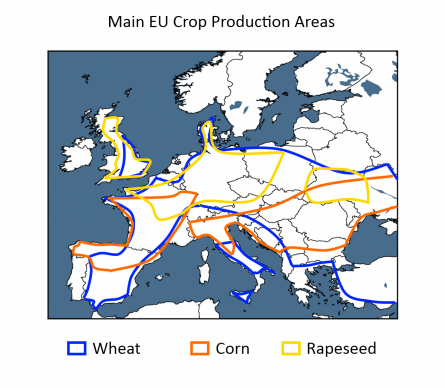 In other news, Ukraine said that it had now harvested 13 million ha of grains (off 92% of the planted area), producing a crop of 58.4 MMT to date. That includes a corn harvest that's 74% complete at 19.4 MMT. APK Inform said that Ukraine seaports only exported 463.3 TMT of grains last week, down from 835.9 TMT the previous week. That included 101.7 TMT of wheat, 74.3 TMT of barley and 287.3 TMT of corn. Russia's seaports exported 578.8 TMT of grains last week, up from 469.4 TMT the previous week. That total included 418.7 TMT of wheat, 2.8 TMT of barley and 151.3 TMT of corn. Russia's 2016 grain harvest now stands at 121.8 MMT off 95.7% of the planted area. That includes a corn harvest that's 69.1% complete at 11.4 MMT. Customs data shows that Russia's wheat exports in October were only 1.99 MMT, some 46% down on September and 26.5% lower than they were a year previously. Whilst this can partly be attributed to Egypt's tinkering with their ergot policy, at least some of it is down to rouble appreciation and a shortage of higher quality wheat in Russia this year. Quantity clearly doesn't equal quality in this case. Late last week Rusagrotrans lowered their forecast for Russia's grain exports in November from 4 MMT to 3.1 MMT. They also clipped back full season projections from 37.0 MMT to 35.4 MMT. Algeria tendered for 50,000 MT of soft wheat late in the day. 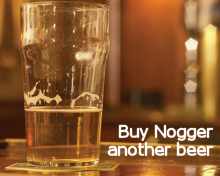 The generally buy much more than they tender for. Watch this space.